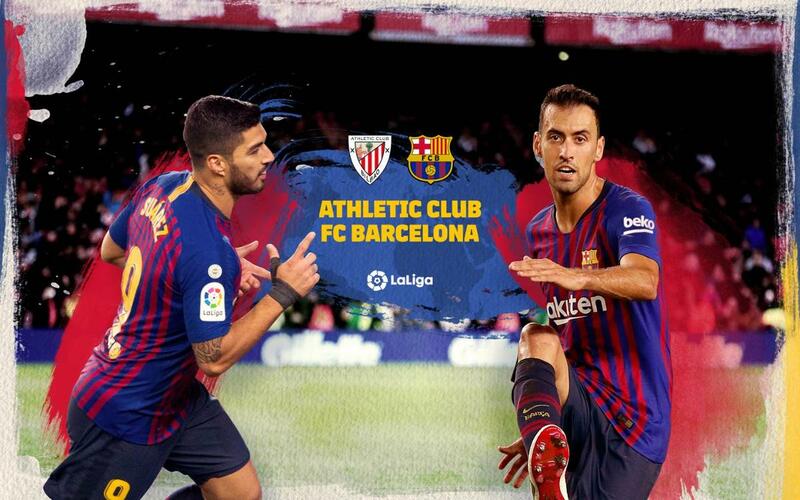 Just days on from the Copa del Rey Clásico, Barça return to action with a LaLiga Matchday 23 game against Athletic Club. The Blaugrana travel to Bilbao for their latest league game and a homecoming of sorts for coach Ernesto Valverde, who spent 6 seasons in charge of the Basque side. Barça are currently on a 10 game unbeaten run in LaLiga, with 8 wins and 2 draws. *The following broadcasters have rights to show the game, but may not do so live. 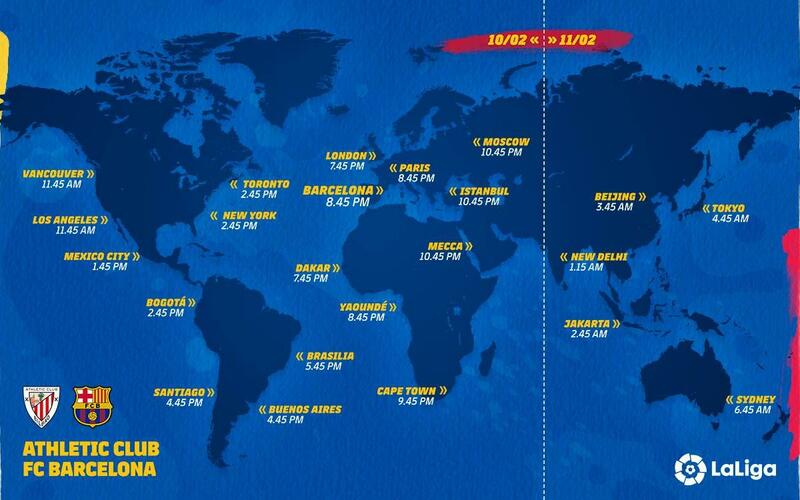 Check listings for exact start times.